Research on red deer has attracted the attention of the science journal Nature. 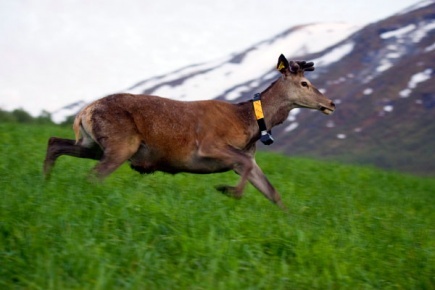 "Observations of the migration patterns of Norwegian red deer show that some animals ride waves of greener vegetation as spring spreads across the landscape, whereas others jump ahead in anticipation of this higher-quality food". The latest edition of the highly respected journal features a story covering their research which was recently published in American Naturalist. Its the latest paper: "A Migratory Northern Ungulate in the Pursuit of Spring: Jumping or Surfing the Green Wave? from Richard Bischof, Leif Egil Loe, Erling L. Meisingset, Barbara Zimmermann, Bram Van Moorter, and Atle Mysterud that attracted the attention of Nature. The story was first published in American Naturalist.